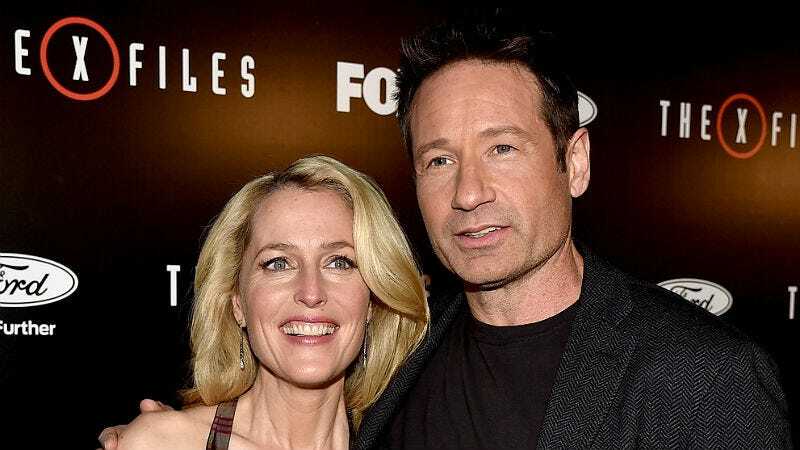 The X-Files returns to television on Sunday, and until then, let’s take a moment with the news that Fox offered Gillian Anderson half of David Duchovny’s salary in initial negotiations for the reboot. Doesn’t that just make you want to tune in? In an interview with The Daily Beast, Anderson said that this pay disparity was a throwback to an old problem she’d had with Fox executives, who took nearly seven years during the science-fiction show’s first airing to pay her in a way that was comparable to her co-star Duchovny. They even required Dana Scully to walk a step or two behind Fox Mulder so that the pair were never side-by-side on screen, which is baffling considering the strength and intelligence of Scully’s character. Anderson said she eventually received equality in pay (and blocking), but only after she refused to accept the fuckshit anymore. Over two decades later, when Fox executives tried to lowball her again regarding her pay for the series reprisal, she was at a loss for words.